Open the screen where you update your status and you'll see the "360 Photo" option. Click on this option, then press and hold the blue button and follow the arrow on your smartphone's screen until you've gone in a complete circle. When you have a 360-degree photograph you're happy with, click "upload" to send it to Facebook. Facebook will put all the pieces of your picture together automatically. Click the wire frame circle icon and wait for a paintbrush to appear. Click on the paintbrush and drag it to where you want your photo to start and drop it. Once you upload it to Facebook, that'll be your new starting point. Treat this as you would a normal photograph and tag friends, post it to an album or use it as your timeline cover. Once you've started to use the Facebook 360-degree photo feature, you'll find Facebook allows you to add your 360-degree photo to your timeline cover. This is significant, as this is the first time Facebook has allowed changes to the traditional cover photo. In addition, people can see it whether they're your Facebook friend or not. Another bonus is you'll have time to experiment with the photograph's capabilities and figure out what dimensions work well for you and which don't. Humanise your company. Take 360-degree photos of team building exercises. If you attend conferences or networking events, take 360-degree photos of those, as well. Allow your employees to share their photographs about their lives or hobbies on your social media pages. This will help your customers connect with you and your company on a basic level, so they'll all be more engaged with your brand. Customers like it when you include them. Give a virtual tour of your building or office with this app to nurture this feeling. Take a series of 360-degree photographs, and make sure to highlight anything that makes your business unique. You want to show people everything good your company represents, and the more they can connect to, the better off you'll be. Attract potential customers by showing the neighbourhood around your business. If there are any big tourist attractions or famous landmarks, show them to your client base with a 360-degree photograph. The more you engage your customers, the more valued they're going to feel. This will make them more likely to visit your business. 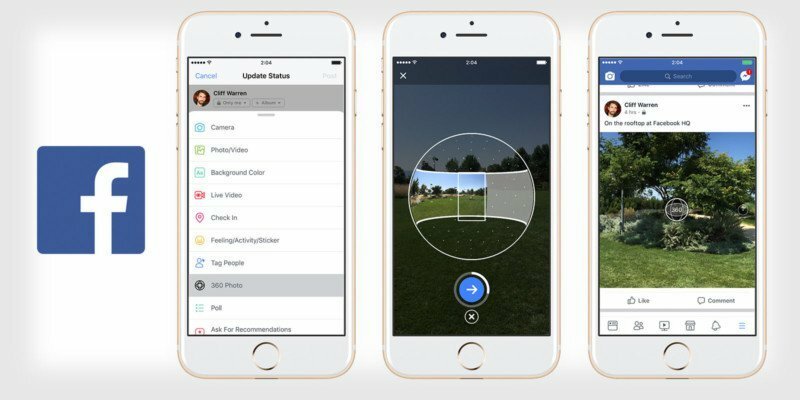 If you have a business and want to engage further with your client base, try Facebook's 360-degree photos for your mobile device. It's an easy and convenient way to connect with your clients, and it can showcase the positive features of your company. The sooner you start using it, the more time you'll have to experiment and find what works for you.